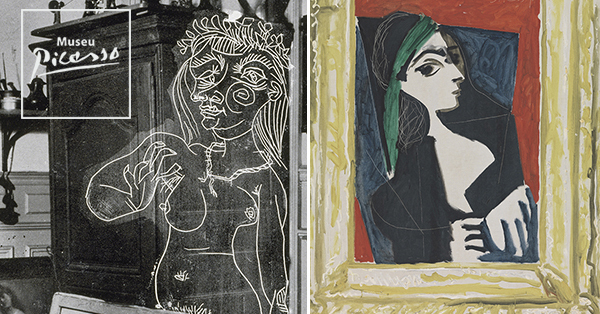 At the end of this spring we will be inaugurating "Picasso, photographer’s gaze" and "In the Name of the Father” which you will be able to visit from 7th June onwards. We are very satisfied to inform you that the project «Big Draw. Barcelona draws», organized by the Museu Picasso and the Institute of Culture, has been selected for the second time as finalist in the ACCA 2018 Awards, in the category of Education. Many thanks to the Catalan Association of Art Critics for this distinction and congratulations to all the finalists of this edition. 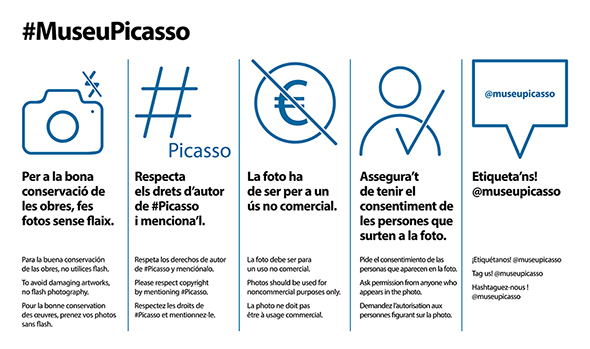 On the last Saturday of the month, we welcome a family activity to the Museu Picasso for everyone to enjoy together. We organise guided visits in Catalan, Spanish, English and French that help the visitors to get to know the details of the Collection and palaces. On 29th November, together with the Universitat Politècnica de València we organised the international symposium, «Around Picasso: an insight into the relationship between material choices and failure mechanisms» with the attendance of more than 120 professionals. The influence of geniuses is directly proportional to the number of legends and apocryphal stories that can be told about them. Picasso is a clear example of this capacity of human beings to make up stories about the personalities who were notable for their outstanding talent and extraordinary skills. 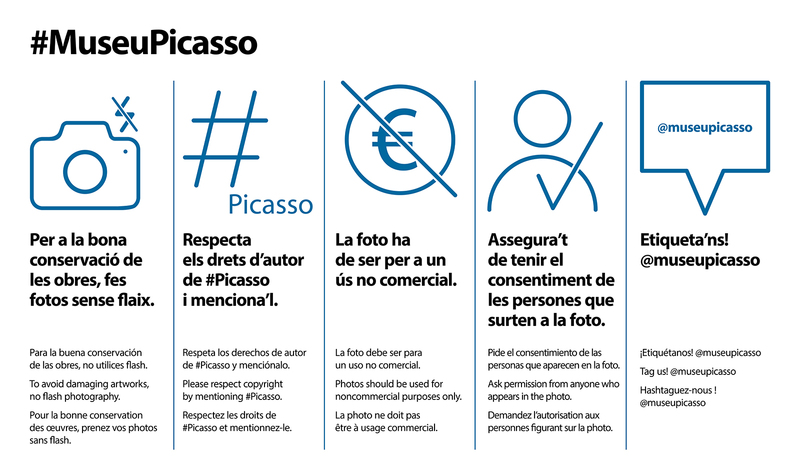 Graphic information about the good practices when taking photos in the Museum’s rooms and their good use. Share them! You have received this mail because your address is included in our distribution list for the Newsletter of the Museu Picasso. If you don't want to receive further mails, we would appreciate it if you could indicate so by clicking on here. Thank you.